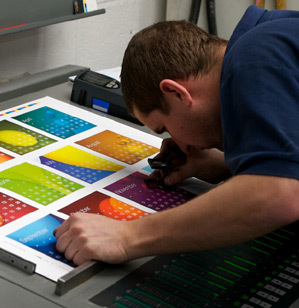 A print studio based Uckfield, Sussex, providing an affordable, quality printing service to businesses, sole traders, clubs, societies, charities and the general public. Print runs from one to one million! Does your existing printer tick all the right boxes? If you are not completely happy with your existing printer then please contact us for a friendly chat about your printing requirements. Uckfield, Alfriston, Ashburnham, Barcombe, Battle, Beckley, Beddingham, Berwick, Bevendean, Bexhill, Blackboys, Brightling, Brighton, Burgess Hill, Burwash, Buxted, Catsfield, Chailey, Chalvington, Chiddingly, Cooksbridge, Coopers Green, Cross in Hand, Crowborough, Crowhurst, Dallington, Ditchling, East Guldeford, East Hoathly, Eastbourne, Eastdean, East Sussex, Etchingham, Fairlight, Falmer, Five Ash Down, Fletching, Forest Row, Framfield, Frant, Friston, Glynde, Groombridge, Hadlow Down, Hailsham, Halland, Haywards Heath, Hartfield, Hassocks, Hastings, Heathfield, Hellingly, Herstmonceux, Hollington, Horam, Hove, Lewes, Little Horsted, Maresfield, Newhaven, Newick, Ninfield, Northiam, Nutley, Offham, Patcham Piltdown, Preston Park, Ridgewood, Ringmer, Ringles Cross, Sheffield Park, Whatlington, Willingdon, Wilmington, Winchelsea, Withyham, Wivelsfield, Wivelsfield Green, Wych Cross.